KHUS + KHUS. Ever heard of this brand? It is one to remember, trust me! 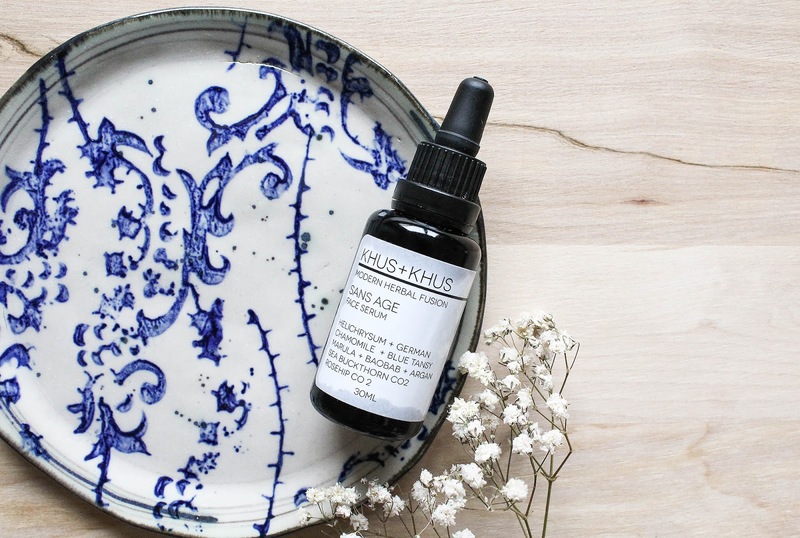 I was introduced to KHUS + KHUS last month, when two of their products were featured in the December Beauty Heroes Discovery. Both are so special and I've been really impressed with them. SO impressed. KHUS + KHUS was founded by Kristi Blustein, an Ayurvedic Health Practitioner, Aromatherapist, Herbalist, Certified Yoga Teacher. Mind. Blown. KHUS + KHUS' concept is simple, they believe strongly that plants support the body + mind in healing. 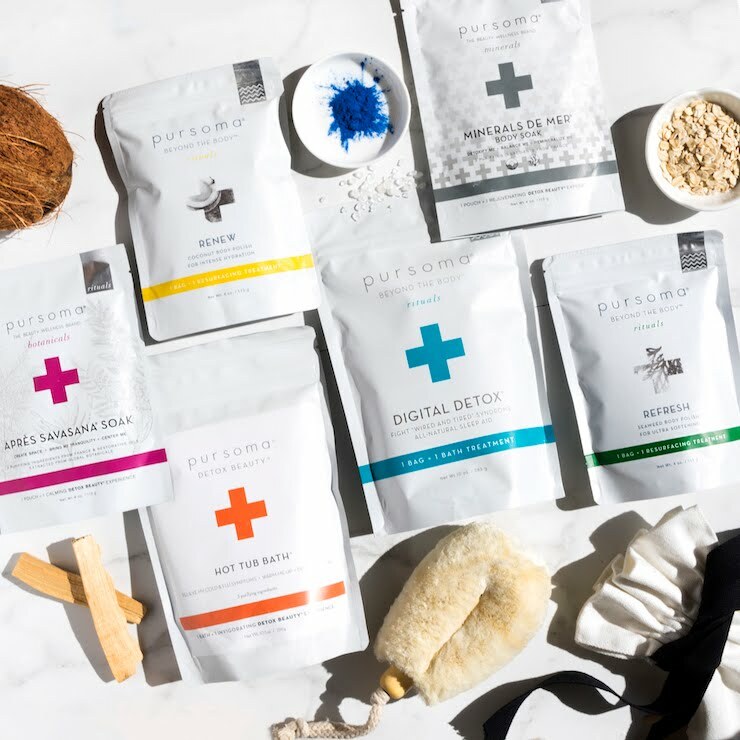 Their products are packed with 100% botanical ingredients & they want to collect the life-force energy contained in botanicals and share their healing potential with us, and that requires healthy, ethically grown plants. 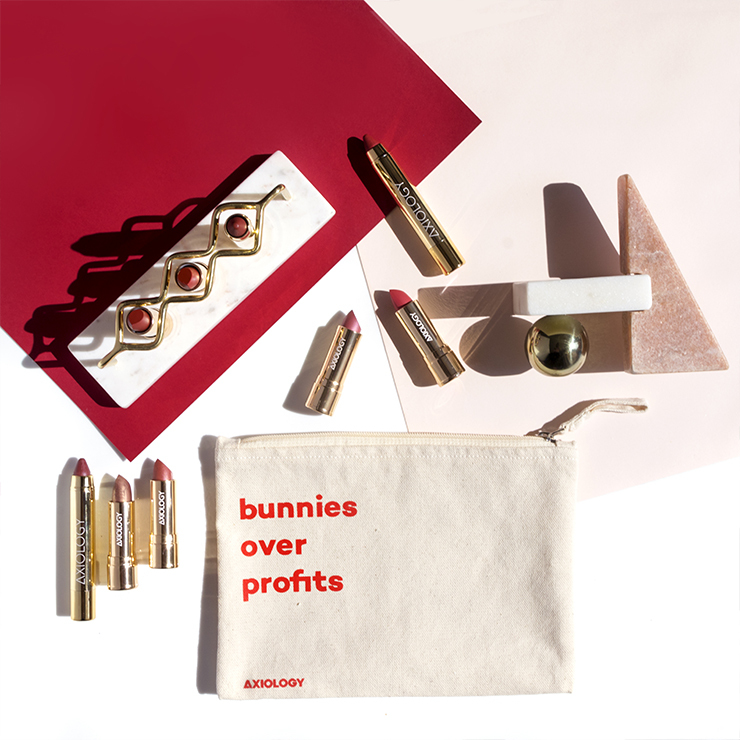 I'm loving the sound of all this but what really sold me on the brand are truly effective and simply gorgeous products. 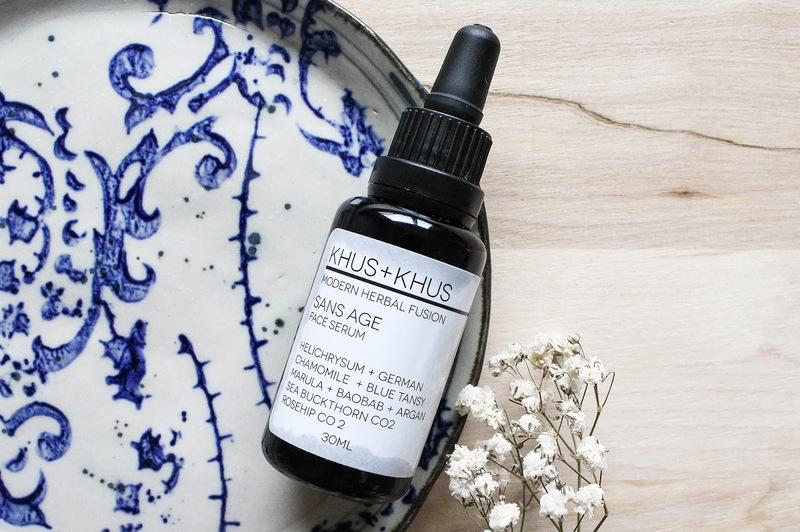 KHUS + KHUS Sans Age Face Serum* was the Sidekick of 2017 December Beauty Heroes Discovery but for me it was the Hero #2. 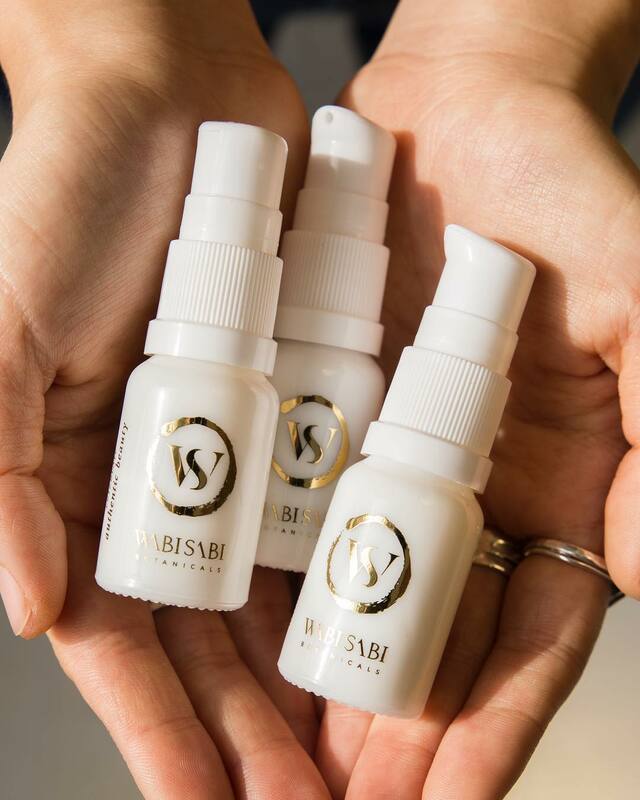 This serum actually comes in a 50ml bottle but we received a very generous 30 ml bottle, which is like your standard oil serum packaging. I'm so, So grateful for that because I've REALLY been obsessed with all the benefits my skin has been getting in the last couple of weeks. And I still have a lot of oil left, which makes my heart sing! 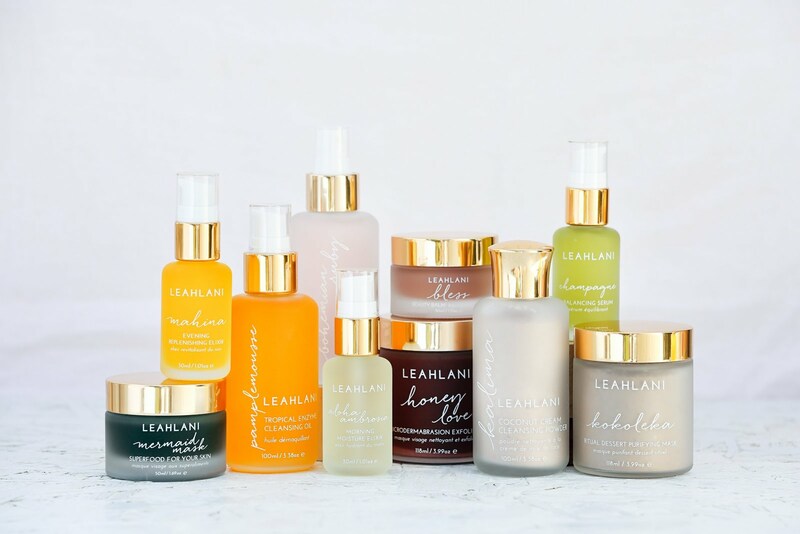 This serum is all about diminishing signs of inflammation, and increasing a look of vitality and youthfulness in skin. Have you ever heard of a term "inflamm-aging"? 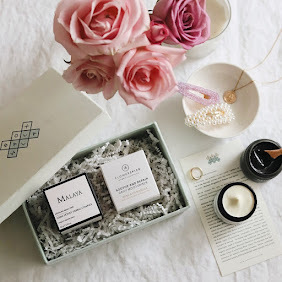 At KHUS + KHUS they understand the biochemical connection between systemic inflammation and visible signs of aging. You can find articles about this topic online, but in its essence the term “inflamm-­aging” is used to describe the aging phenomenon induced by chronic, persistent inflammation. Most people are familiar with the visible inflammation that can be seen on the surface of the skin, with redness representing a sign of infection, irritation or discomfort. It can also be invisible. The best thing to do (for your skin) is to avoid inflammatory food, like sugar, refined flour, meat, especially processed meat, junk food, and stock up on anti-inflammatory food, including green leafy vegetables, tomatoes, berries, and more. My favoruite anti-inflammatory food is actually a spice Turmeric. LOVE. Turmeric lattes are popular for a reason. My curry recipe is also filled with Turmeric, find how to make it here. The second best thing are products that support your skin and don't cause any further irritation but rather soothe and calm it. 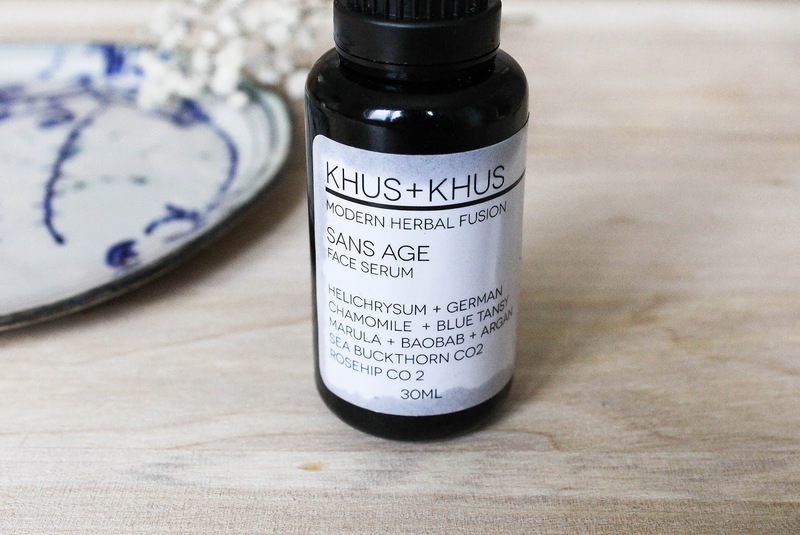 Here enters the KHUS + KHUS Sans Age Face Serum, a serum that "evokes sensations of peacefulness and relaxation, lends a cooling feel, and bestows a quality of good energy." This serum promises to reduce appearance of inflammation of the skin and increase cellular regeneration. Does it really work with inflammation? Well let's have a quick look at the ingredients. First is Helichrysum or The Everlasting Flower (in Slovenian it is known as "smilj" or "suhocvetnica") which has strong ability to lower inflammation and also has anti-aging benefits. A family friend gifted me her own facial oil made with Olive Oil and Helichrysum (which btw grows also in Croatia) and I haven't had a chance to properly try it out, but my mom has been using it and she absolutely loves it! She's always like "look how soft my skin is!". Helichrysum is also in my beloved Earthwise Beauty's Tigress Face Balm* and you know how I feel about it. Review here. 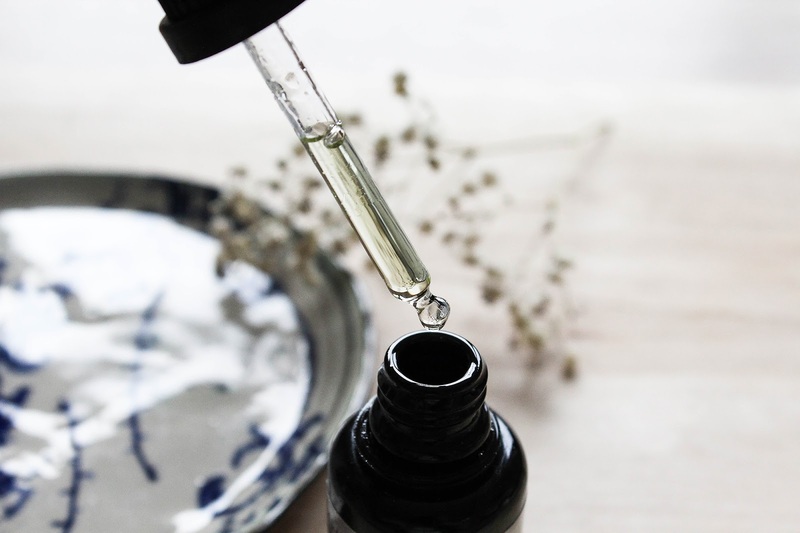 The second ingredient in the Sans Age Face Serum is Blue Tansy which is also known as Moroccan Chamomile. It is highly anti-inflammatory and has antioxidant properties. It's soothing and relaxing to the nervous system. Blue Tansy is also known for its gorgeous blue colour, which occurs through distillation process. And the third calming ingredient is German Chamomile. 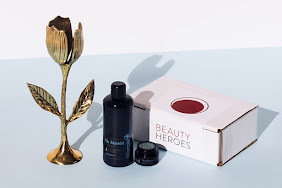 This hero trio is nicely tucked away in a blend of oils of Marula, Baobab, Argan, Sea Buckthorn & Rosehip. 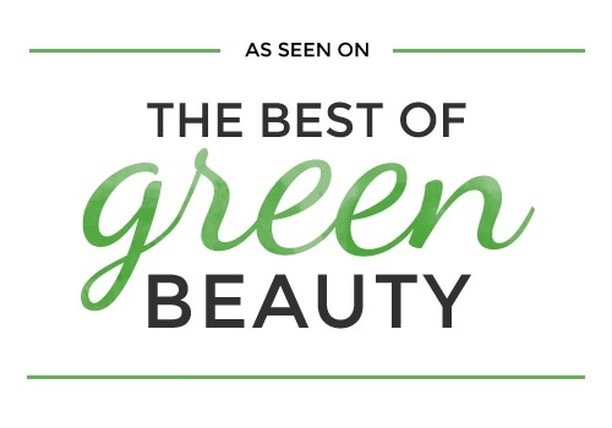 NON-GMO certified, 99% organic, and sustainably wild harvested ingredients. The serum has a blue-ish, almost green-ish tint and smells of Helichrysum and Blue Tansy. 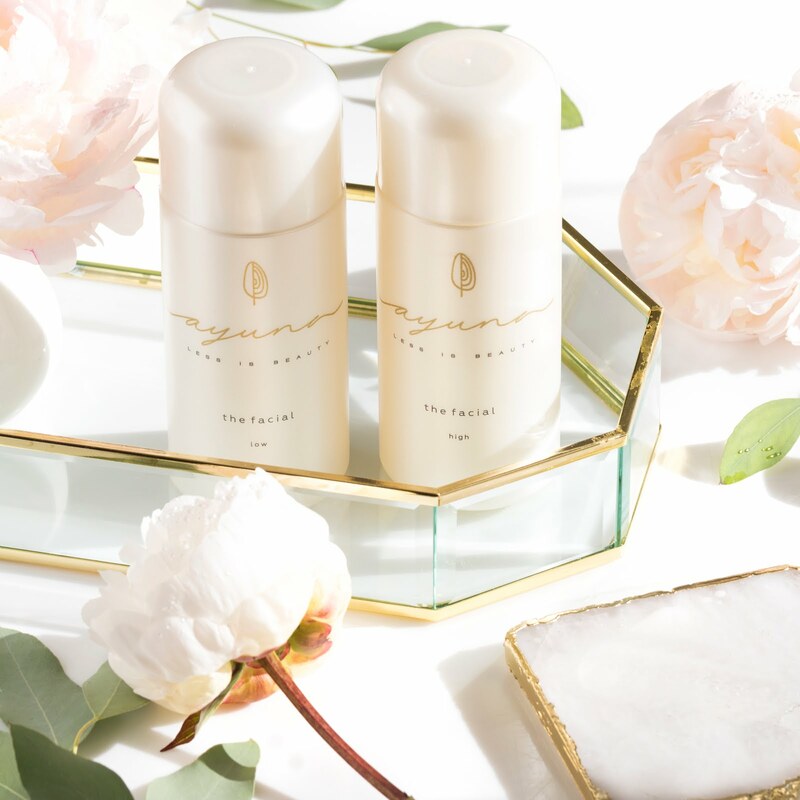 It has a lightweight consistency which my combination skin always loves and adores. My skin isn't that sensitive but sometimes it is slightly itchy and I sometimes also get these random red patches. My skin's main concerns are hyperpigmentation and redness, also inflammation. With continuing use of this facial serum my skin has been less inflamed and I've noticed a reduction in redness on my skin as well. Not brightening but soothing and calming and not only for my skin but also for my mind. Sometimes I just randomly open up the bottle and smell the oil to get some of that peacefulness. The oil is also hydrating and softening. It is really making my skin happier & healthier. Beofre trying out the Sans Age (and the Bleu Body Wax*) I didn't really have any expectations. I knew of the brand and I loved the look of it (fyi I'm so into the miron violet glass) but other than that I didn't really knew much. But as you can see it is safe to say I fell in love with KHUS + KHUS. I highly recommend trying out the brand and this gorgeous oil. It's not comedogenic so I would recommend it to everyone, including itchy, inflamed, sensitive skin, if you have eczema, fine lines, wrinkles, redness, psoriasis, capillaries. I'm very intrigued by their other face serum as well. Check out the whole range here. 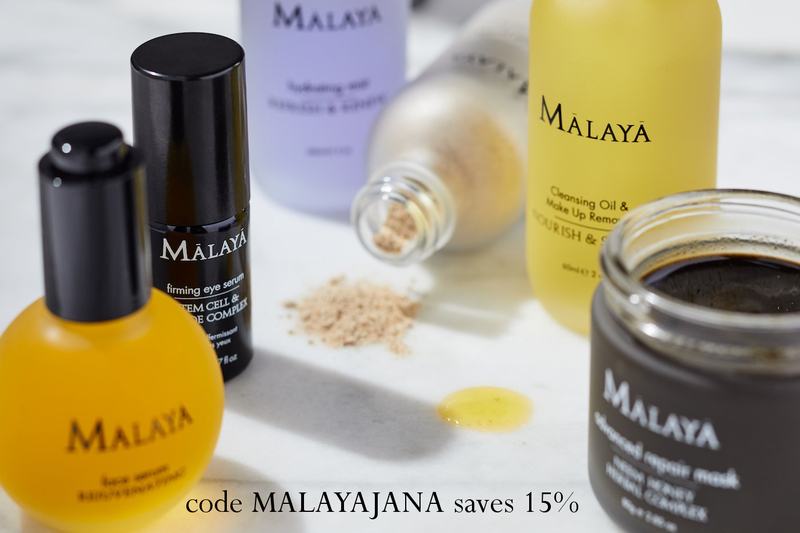 You can get it straight from KHUS + KHUS here or via Beauty Heroes here (members get 15% off). 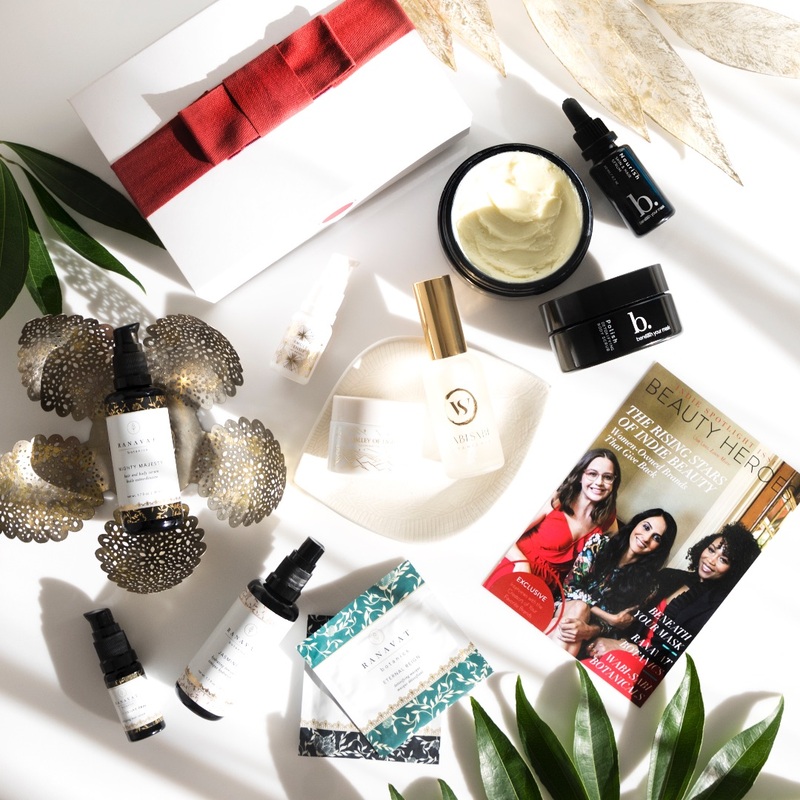 If you're interested I saw that you can still get the 2017 December Beauty Heroes Discovery featuring KHUS + KHUS here.